ICEM’s Jeremy Sung is visiting project sites in Lao PDR, Cambodia and Vietnam as part of an ICEM study into climate change threats and vulnerabilities in provincial towns. Here, he utilizes an innovative i-phone app iGIS as a cost-effective way to achieve project objectives. KAYSONE PHOMVIHANE, LAO PDR – 19 September 2013: Whilst undertaking the surveys and meetings as part of the ADB project Climate Resilience in GMS Cities, we encountered several challenges related to bad infrastructure and climatic conditions. We also found that current maps of the local towns are very poor and out-of-date. 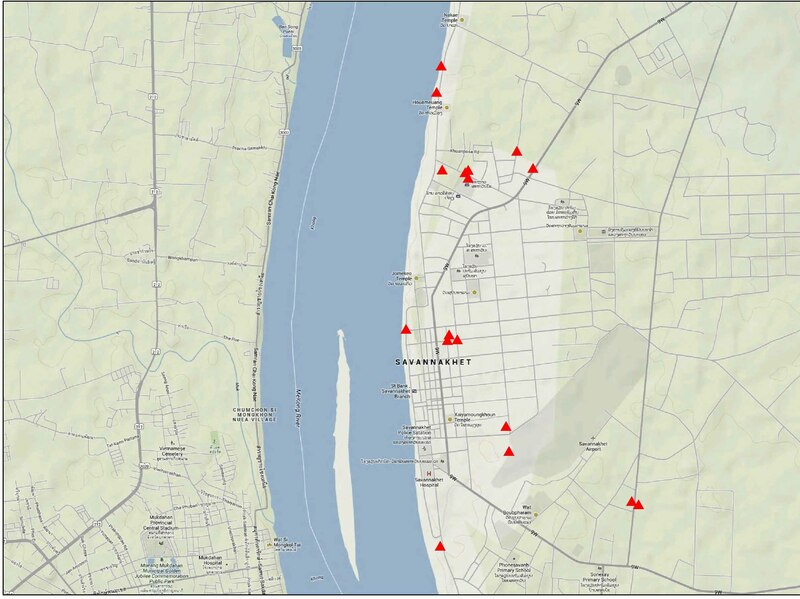 We realized it would be useful to tag various features of the towns using a GPS device so that we could map the key features ourselves, and hence analyse the vulnerability of key infrastructure and facilities. 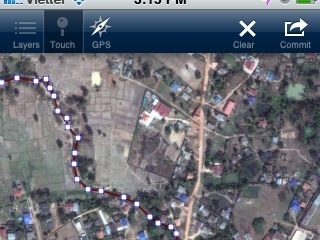 Our project team only has one GPS tagging device. 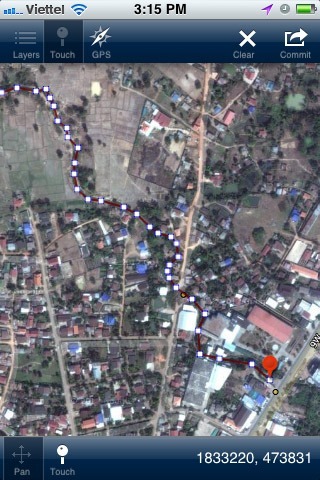 However, this project spans more than three towns in three different countries (Cambodia and Vietnam as well as Lao PDR). With no extra budget for equipment, the question was, how were we going to manage the demands of mapping the key infrastructure and vulnerabilities in each of our project cites? A cost-effective answer lay in Smartphones and free software. Using our consultants’ existing Smartphones we installed the free but featured-packed iGIS software. iGIS turned our phones into a fully capable GPS tagging devices, allowing us to map and plot data points and produce shapefiles that can be used by professional GIS software packages. ICEM's Jeremy Sung is visiting project sites in Lao PDR, Cambodia and Vietnam as part of an ICEM study into climate change threats and vulnerabilities in provincial towns. Here, he finds out how devastating poor drainage systems can be in rural towns. KAYSONE PHOMVIHANE, LAO PDR - 17 September 2013: Today we're in In Kaysone Phomvihane (Lao PDR), conducting meetings to analyse critical infrastructure and discuss climate change threats and vulnerabilities with government officials and local groups.